If you only have a few items to store, low cost self storage is an ideal, economical solution. 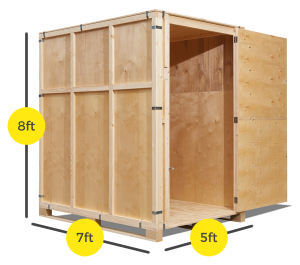 Our lockable containers measure 8ft x 7ft x 5ft and are located within our secure warehouse. Unloading could not be simpler. 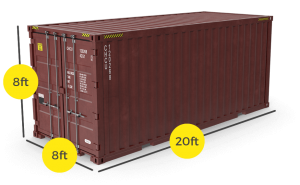 Simply reverse your vehicle right up to your container in our covered loading area. Access is available Monday to Friday, from 8am to 5pm (out-of-hours access by arrangement), but please give us as much notice as possible so we can move your containers to the loading area for you. With self storage, the terms of insurance are slightly different. As you pack your crate yourself and we don’t know what’s in it, we can only offer insurance for total loss. We recommend that you talk to your household insurers if you want to insure specific items in self storage. If you’d like more information about our self storage service or insurance, please call a member of the team today on 01823 256546 or message us.